When you are ready to roll your 401k into an IRA, it is essential to find a good 401k provider. The type of IRA that you want to open will determine the provider you choose. It is important to carefully research your options before choosing a specific provider. 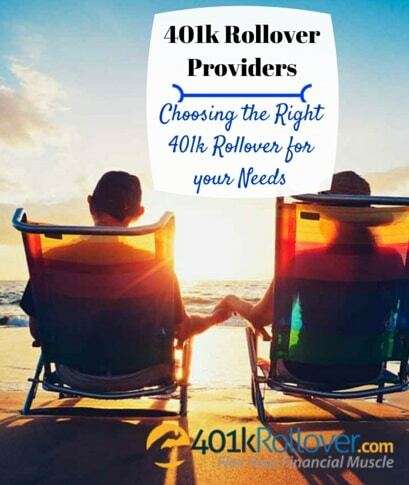 Choosing the right 401k rollover provider should be at the top of every investor’s list when it comes to converting old 401k accounts into self-directed IRA plans. There are many factors to consider when you are choosing a provider. It is important that you weigh each of these factors carefully and that you find a balance that you are comfortable with. This will allow you to continue to use the same provider for several years. Reputation: It is important to find a provider with a positive reputation. You can check online to read reviews of different providers and to check with the better Business Bureau to make sure you are choosing a company with a good reputation. Fees: Different providers will charge different fees to help handle your IRA transfer or 401k rollover process. You should look at annual fees and transaction fees when you are making your comparison. Additionally, you should consider the mutual fund fees if you include those in your overall IRA portfolio. Investment Flexibility: Before you choose your provider, be sure that it offers the types of investments you want to include in your portfolio. Some providers offer limited options. IRAs can have a wide number of investments in them, more than the typical 401k investments. However, the different IRA providers may limit what you can invest in. It is important to understand what the different providers offer so you can begin looking at the right type of providers right away. Banks and Credit Unions: These institutions will allow you to invest your money into CDs (Certificates of Deposit). The advantage is that the FDIC or NCUA insures this money up to $250,000. However the rate of return on CDs is so low right now that you would not be able to keep up with inflation. You may consider this option if you are close to retirement and do not want to risk your money in the market anymore. Traditional Investment Companies: These companies will allow you to choose from a set list of mutual funds and stocks to have in your IRA. While this option allows you to keep pace with inflation, you are still limited to the products that they offer. You can receive advice on what to invest in and talk to your financial advisor about your choices with this product. This is the closest option to a traditional 401k, and works well if you do not know much about investing. Self-Directed IRAs: This option gives you the most freedom and the opportunity to diversify your portfolio. With this option you can invest in stocks, mutual funds, as well as investment property and gold. You choose the IRA investment options and handle the transactions. This is a good option if you want more control over your investments. You may have more risk if you really do not understand the market and how it works. When you are ready to rollover your 401k, you need to find a good provider with low fees and the type of guidance you need with your investing. If you would like help choosing the right 401k rollover provider, you can call 1-800-767-1423 to receive a list of IRA providers near you.